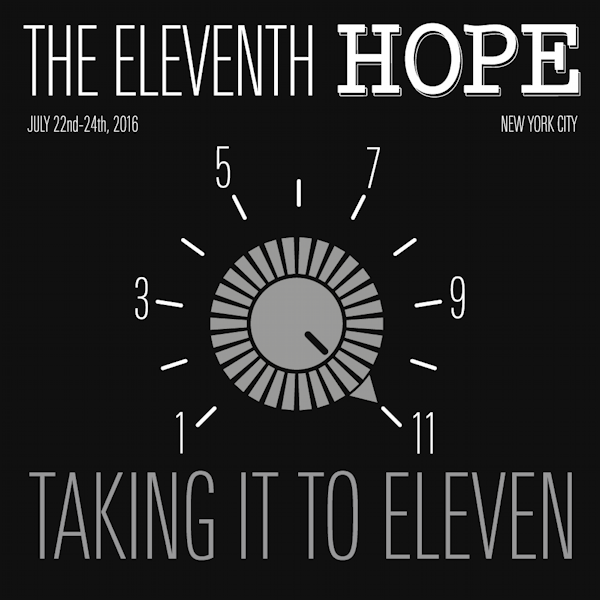 The Eleventh HOPE - When pigs fly. This past weekend I went to the HOPE conference for the first time. I had always stayed away and in the shadows because of my experiences growing up with the fear of the FBI busting in and taking everything that remotely looked like a computer from your home and being locked away in a dark cell forever. Think I'm joking? Joe Peterson/Petersen used to run PCS-ICN BBS (Peterson Computer Service's Info-Communication Network), was my first friend to ever be arrested in this manner in the early 80s. I was running CACTUS-800 BBS at the same time (which, much later, became Multiom-4). There were others too... Mark Finkle, Doug Toombs and so many more... Like a good hacker, I kept log books of every computer I connected to dates, times and stats. I buried all of that information when I panicked and thought the FBI was coming for me once. I remember getting a call from the Nuclear Structure Research Laboratory on my patent's phone moments after I broke in, discovered what the system was and anonymously reported the crack in their security software and how to fix it... they offered me 12 months of access to search out any other security holes! I was 12 or 13 at the time and my first "volunteer job" was penetration testing for a U of R facility which was performing military research!! I had a blast at HOPE XI. I felt young again among the people of all ages. Overall, I was surrounded by people who's minds were operating at the same speed and going on just as many tangents as mine does! It was frightening and exciting at the same time! I was in presentations 90% of the time, and with four tracks going, it was easy to keep my schedule packed -- sometimes, there were conflicts for some of the conferences (two I wanted to see happening at the same time) so I was forced to pick -- or do a 1/2 and 1/2. Imagine thousands of hackers, phreakers, programmers, makers (hardware folk), lock-pickers, political activists, the ACLU, the EFF and so much more! (Yes, I learned how to pick a lock and I can prove it!!) Their NOC (the NOC NOC) ran 600 metres of fibre optical cable to support a massive 11GB network for all the hackers to "play" with! 64 people got their amateur (ham) radio licences by passing their tests with a certified examiner present. Radio Statler was on the air and streaming too! (There were a few baking-foil hat wearing people there too and Richard Stallman). Enjoy and do come to HOPE XII in 2018! !